Most of the features are available for members only..
PEOPLE FROM LOWER EDUCATION BACKGROUND SHOULD BE INVITED IN THE MEETING. We are living in a democratic country, and therefore cannot live in isolation. So, for this we need to come together and sort out things using proper methods and mechanisms as per the law of the state. In a democratic setup there are legal, constitutional provisions through which laws can be made. In this ever moving world, we need to be alert and move forward. We cannot compel others to think alike but our mission is to connect people and develop wider understanding. We need to set our vision first as what we want to implement and execute in future course. This should be the starting point. The vision should incorporate the wider understanding and consensus. There should be democratic forum, let every body think in their own way which is quite natural and then consensus will be formed. Encourage youngsters and capable people to come forward and join hands for the overall development of the forum. We all have agreed to the proposition that “Let youngsters be leaders and no political shape be given to it all”. Any effort to deviate the group for the personal benefit or political benefit has to be dealt seriously. We are far away from east UP and therefore may not know the ground and harsh realities there. Let's focus mainly on the Get Together, instead of discussing many big issues. Let chalk out strategy, ways and means how to join each other? Should have a platform like this to be able to integrate with all our brothers. I have one observation/concern that we have started from the top (educated and well established in their life) but the actual challenge might be reaching the bottom (our villages). Very important that we in forum know and understand each other. We should focus mostly on solutions and way forward approach. We cannot just keep our self talking to the problems avoiding finding out solutions. 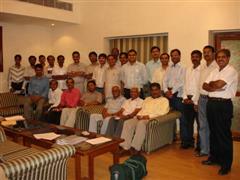 here is a group existing in Delhi and they are planning to publish a diary by Diwali. We could be very well off but we also need to know the feeling of masses as to how differently they think and ways to incorporate in our course of action. There should be education counseling and strategy to be formulated to execute it. Different groups exist at various places and efforts are to be made to integrate them. When ever we organize any meet at Gorakhpur , there are always 10-12 people who come to disturb that. Local Co-coordinators for proper functioning of this group needed at several locations, say one at Gorakhpur , one at Bombay , one at Kanpur , etc. People should be invited at Gorakhpur meet with set and communicated objectives to avoid unnecessary interference. Filtering of e-mails based on subject – software guys need to find a way out for this. These are pain taking activities and we should be ready for that. We should give importance to our historical background and that should not be limited to our community only but to the whole eastern UP region. Need a dedicated team to work on Point 6. Ours should be a model Network group and its work/services should not be limited to our community only but that entire region should get benefit from that. Democracy to be followed and flourished. Non Political Organization. Members are advised not to bring politicians in this group. To emerge as a role model for other communities in the eastern part of U.P so as to help others as well. To establishing educational institutions like Engineering colleges, Polytechnics, Paramedical colleges, primary and secondary educational institutions. To develop enterprising skills in our younger generation. 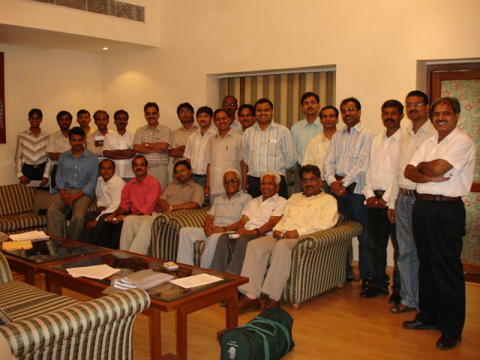 To establish City Chapters in different towns.